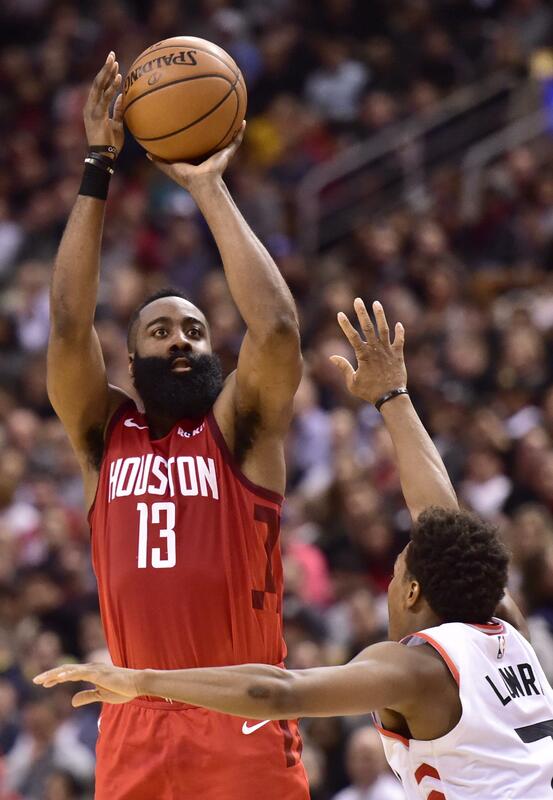 TORONTO – James Harden scored 35 points, Gerald Green had 11 of his 18 in the fourth quarter and the Houston Rockets beat the Toronto Raptors 107-95 on Tuesday night. Harden, the NBA’s leading scorer, made 12 of 30 shots, including three of nine from long range. He was perfect at the foul line, hitting all eight of his attempts. OAKLAND, Calif. – Gordon Hayward scored 30 points off the bench, Kyrie Irving had 19 points and 11 assists, and Boston ran away from the Golden State early in a game that turned testy with the two-time defending champions down big. Jayson Tatum scored 17 points for the Celtics, who came in having lost five of six since the All-Star break. Kevin Durant scored 18 points but committed five turnovers, while DeMarcus Cousins wound up with 10 points on 4-for-12 shooting – missing all five of his 3-point tries – and nine rebounds to go with four turnovers. PHILADELPHIA – JJ Redick hit six 3-pointers and scored 26 points to break out of a slump and lead Philadelphia over Orlando. Redick was 5 of 6 from 3-point range in the first half (7 of 10 overall) and paced an offense that shot 64 percent in the half and led 70-64. He had been seriously slumping – going 23 of 81 overall over his last seven games and hitting 15 3s. Redick had his first 20-point game since Feb. 10 against the Lakers. Ben Simmons had 16 points and 13 rebounds for the Sixers. Evan Fournier led the Magic with 25 points and Aaron Gordon had 24. INDIANAPOLIS – Bojan Bogdanovic scored 27 points, Darren Collison added 22 and Indiana beat Chicago. Chicago was led by Zach LaVine with 27 points. Robin Lopez had 20 points and 11 rebounds as the Bulls lost their fifth in a row to Indiana, including all four games this season. Lauri Markkanen finished with 14 points and 13 rebounds. MEMPHIS, Tenn. – Mike Conley scored 19 of his career-high 40 points in the fourth quarter as Memphis used a late rally to beat Portland. Conley made six of his seven shots in the fourth as Memphis erased a nine-point Portland lead in the final quarter with a 38-25 scoring advantage in the period. Delon Wright matched his career high with 25 points and Jonas Valanciunas finished with 17. CJ McCollum led Portland with 27 points, while Damian Lillard added 24. Maurice Harkless finished with 20 points. MINNEAPOLIS – Karl-Anthony Towns had 41 points and 14 rebounds as Minnesota spoiled Paul George’s return to the Oklahoma City lineup. Published: March 5, 2019, 10:27 p.m.